Local Microsoft Data centres will change the game for Azure resellers, who can now offer enterprise-grade reliability and performance with local data residency. 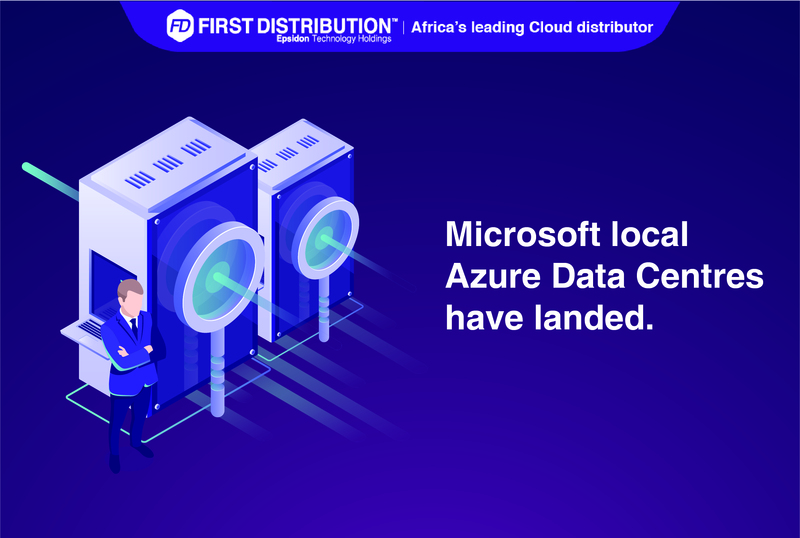 23 February 2019 – First Distribution, Africa’s leading distributor of Public and Private Cloud solutions, is urging Azure resellers to prepare for the imminent Microsoft South Africa Datacentre launch. “It has been Microsoft’s experience that local data centre infrastructure supports and stimulates economic development for both customers and partners alike,” says Natasha Bezuidenhout, Microsoft Brand Executive at First Distribution. According to Bezuidenhout, the launch of local Microsoft Datacentres provides Azure customers – and potential customers – with trusted Cloud services that will help them meet local compliance and policy requirements, such as the Protection of Personal Information (PoPI) Act. It is important for resellers to take this into consideration, as well as other benefits that Azure customers can now leverage. “The replication of data by Microsoft in multiple data centres across South Africa gives Azure customers reliable protection for business continuity, in both pure and hybrid scenarios,” says Bezuidenhout. According to Microsoft, the new facilities will provide highly available, scalable and secure Cloud services across Africa, with the option of data residency in South Africa. The initial launch will enable Azure compute services, with future plans to also enable Office 365 and Dynamics 365 on the local nodes. With 54 Azure regions and availability in 140 countries, Azure has more global regions than any other Cloud provider—offering the scale needed to bring applications closer to users around the world, preserving data residency, and offering comprehensive compliance and resiliency options for customers. The network comprises 100 highly secure facilities worldwide, linked by one of the largest networks on earth. The value proposition of the new Datacentres in South Africa is simple: Customers can achieve the global reach and local presence they need. Microsoft’s Cloud is scalable, trusted, and reliable – and now local. First Distribution is the leading value-added distributor in Africa. Our offering includes a product portfolio of global leading Datacentre, Cloud, Networking and Security products and services. This embraces hybrid solutions with access to any combination of on premise, private cloud and public cloud end-to-end solutions from multiple vendors. The portfolio, together with highly skilled staff to support and manage vendors with an unrivalled level of expertise, ensures that our partners have the key elements required for success. First Distribution additionally hosts one of the largest technology partner-to-partner networks in Africa allowing partners to extend the reach of their solutions across the continent.